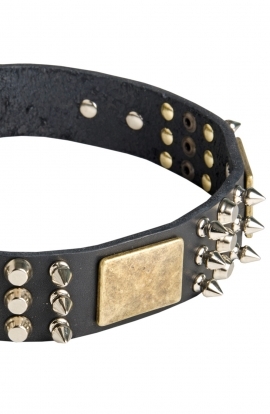 Search "vintage collar" 133 results have been found. 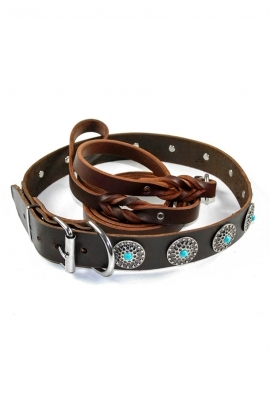 This beautiful dog collar is made of high-quality leather with antiqued conchos each set in place with a rivet. 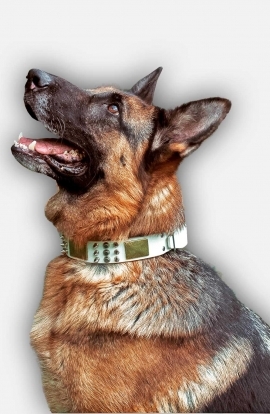 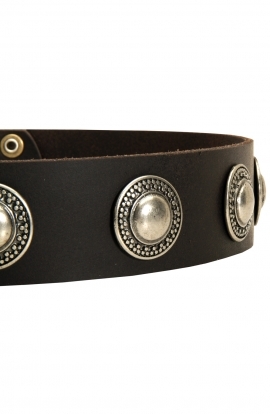 This fantastic leather dog collar is decorated with vintage nickel plates. 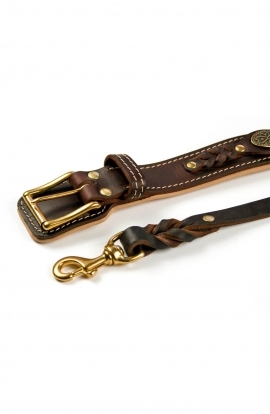 Award your the best mate with beautiful and comfortable dog accessory! 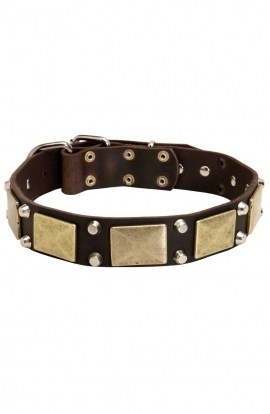 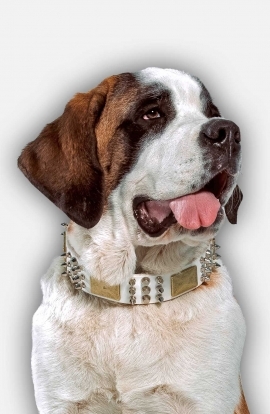 This gorgeous leather dog collar combines massive brass plates and nickel-plated studs for your canine’s amazing look. 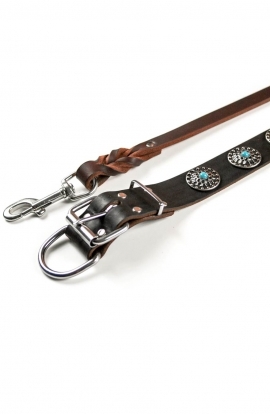 Unique design and superb comfort! 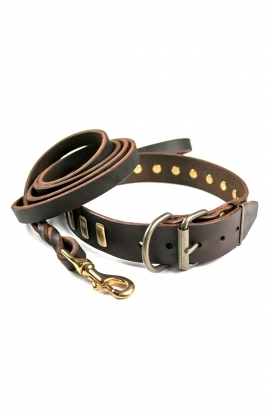 This top notch leather collar shows off a con maesta vintage style combined with a modern flair. 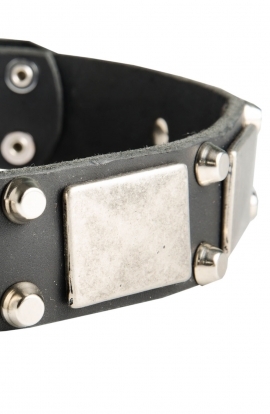 Strong rust-resistant rivets are used for connecting all the items in one indivisible unit. 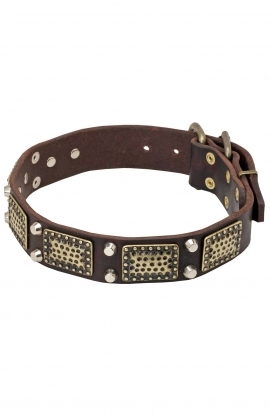 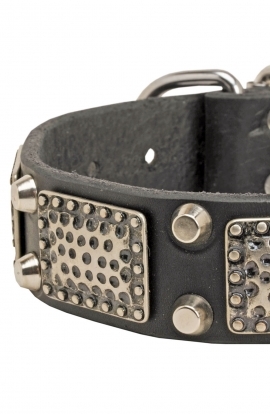 This 1 1/2 inch (40 mm) wide single layer leather dog collar is accented with silver studs and big brass plates. 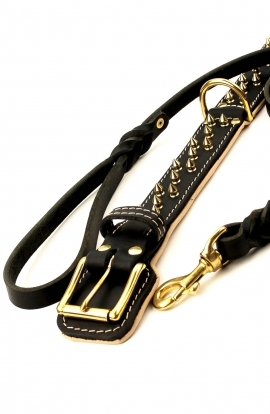 With top quality materials and beautiful massive decorations it's created to serve for very long time and to amaze with its novelty. 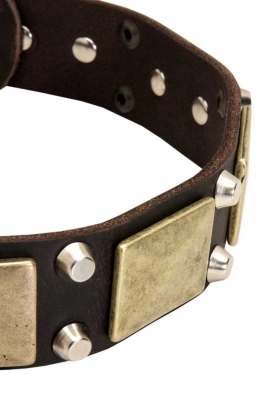 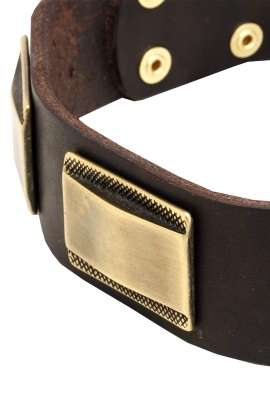 This Leather dog collar is fully handmade of the highest quality materials and has thoroughly thought out design. 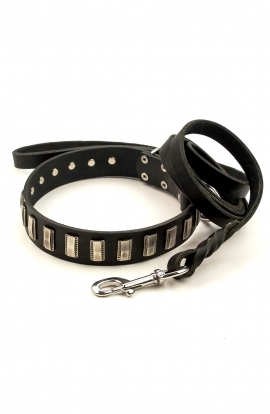 Its width is 1 ½ inch (40cm) - excellent for adult dogs of many breeds. 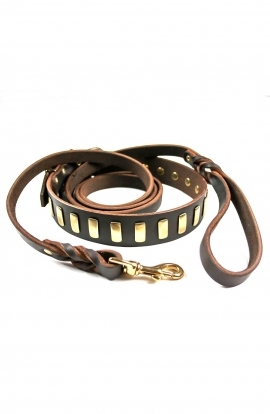 Here is one of the most durable and stylish leather collars for dogs on the market. 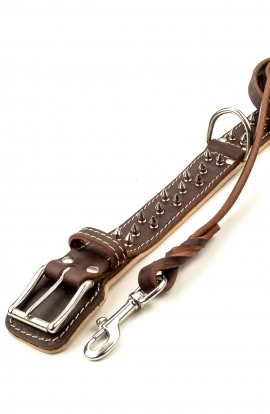 Handcrafted of the finest quality genuine leather with hand set decorations it is reliable as well as luxurious. 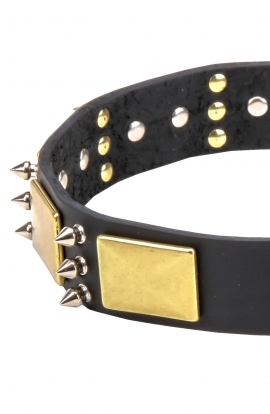 Make every day fashionable with this beautiful collar! 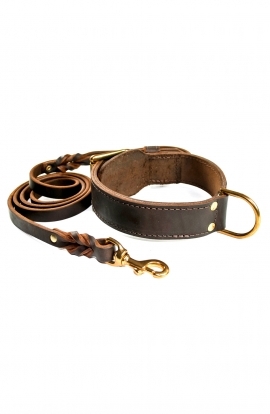 This 1 ½ inch leather dog collar is handcrafted of full grain, top quality leather. 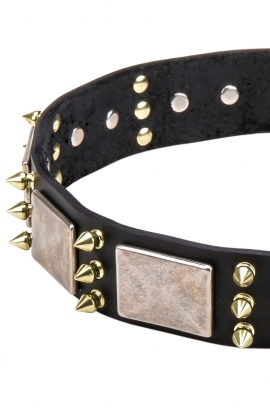 Rich decorations are attached with rivets - fantastic combination for metal fans. 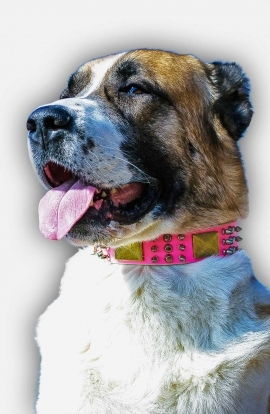 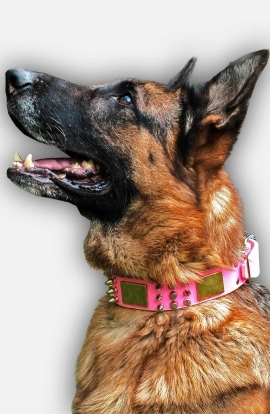 This dazzling 1 ½ inch Leather dog collar features massive metal decorations and fittings on vivid pink genuine leather for the most fad-prone ladies. 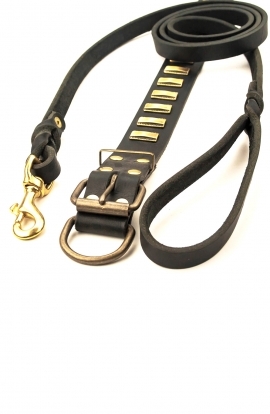 This fashionable 1 ½ inch leather dog collar features design and functionality that meets demands of the most exacting pet owners. 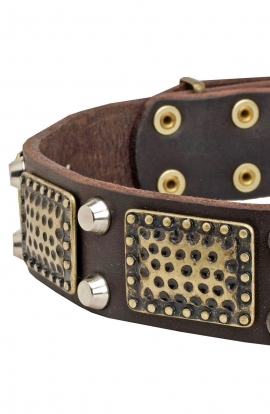 This 1 1/2 inch leather dog collar is designed for active four-pawed adventurers, who want stay stylish and fashionable as well. 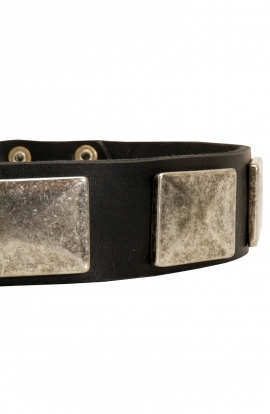 Thick full-grain genuine leather makes this item extra durable, safe and keeps its shape well.